Learn about the latest trends, tactics and technology affecting jury selection and voir dire in this valuable and free 111-page e-book from the litigation consulting experts at A2L Consulting. Enjoy this brand new and one-of-a-kind e-book for litigators and those who support them. 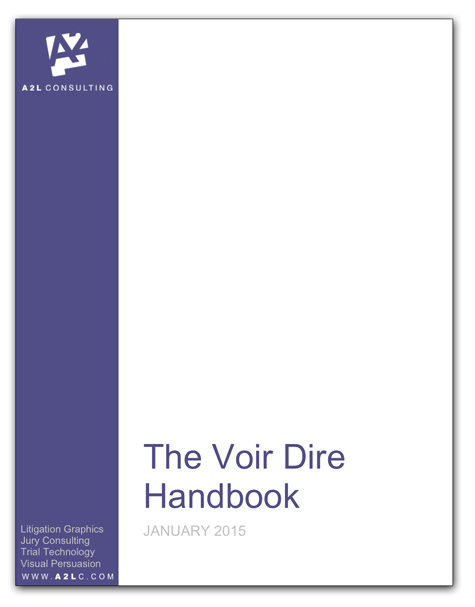 It's our first book compiling articles related to jury selection and voir dire. All brought to you by a firm that is consistently voted the top litigation graphics, jury consulting firm and visual persuasion firm.